Whether measured by premium income or by assets, traditional life insurance is no longer the primary business of many companies in the life/health insurance industry. Today, the emphasis has shifted to the underwriting of annuities. Annuities are contracts that accumulate funds and/or pay out a fixed or variable income stream. An income stream can be for a set period of time or over the lifetimes of the contract holder or his or her beneficiaries. Nevertheless, traditional life insurance products such as universal life and term life for individuals as well as group life remain an important part of the business, as do disability income and health insurance. Life insurers invest primarily in corporate bonds but also significantly in corporate equities. Besides annuities and life insurance products, life insurers may offer other types of financial services such as asset management. In 2014 the life insurance industry posted mixed results as it continued to face challenges from little household income growth, changing demographics, low interest rates, and consumers’ having other financial priorities. Although premiums rose to the highest level since the Great Recession, operating results retreated vs. 2013 partly because of significantly increased surrenders. The industry’s net gain from operations before federal income taxes dropped to $49.0 billion in 2014 from $63.8 billion in 2013. Capital and surplus rose to $354.1 billion in 2014 from $331.8 billion in 2013, according to SNL Financial. Measured by premiums written, annuities are the largest life/health product line, followed by health insurance (also referred to in the industry as accident and health) and life insurance. Life insurance policies can be sold on an individual, or "ordinary," basis or to groups such as employees and associations. Accident and health insurance includes medical expense, disability income and long-term care. Other lines include credit life, which pays the balance of a loan if the borrower dies or becomes disabled, and industrial life, small policies whose premiums are generally collected by an agent on a weekly basis. Credit life insurance, a form of decreasing term insurance, protects creditors such as banks. The borrower pays the premium, generally as part of the credit transaction, to cover the outstanding loan in the event he or she dies. The face value of a policy decreases as the loan is paid off until both equal zero. When loans are paid off early, premiums for the remaining term are returned to the policyholder. Credit accident and health, a similar product, provides a monthly income in the event the borrower becomes disabled. 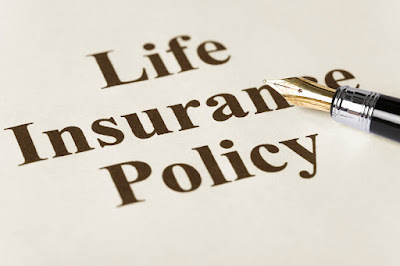 Life insurance was once sold primarily by career life agents, captive agents that represent a single insurance company, and by independent agents, who represent several insurers. Now, life insurance is also sold directly to the public by mail, telephone and through the Internet. In addition, in the 1980s insurers began to market annuities and term life insurance through banks and financial advisors, professional groups and the workplace. A large portion of variable annuities, and a small portion of fixed annuities, are sold by stockbrokers. In 2014 independent agents held 50 percent of the new individual life insurance sales market, followed by affiliated (i.e., captive) agents with 40 percent, direct marketers with 5 percent and others accounting for the remaining 5 percent, according to LIMRA, a life insurance trade association. Eighty-five percent of consumers say they would use the Internet to research life insurance before purchasing coverage, according to the 2015 Insurance Barometer Study by the Life and Health Insurance Foundation for Education (LIFE) and LIMRA, about the same number as a year ago. About 90 percent of consumers between the ages of 25 and 44 would use the Internet to research life insurance. That amount falls for older age groups and was at 76 percent for consumers age 65 and older. About a quarter of consumers went online to find an agent or financial adviser and about one in three went online to find information about an agent or adviser. When it comes to purchasing life insurance, face-to-face with a financial adviser or agent was the most favored life insurance sales channel, with 52 percent preferring that method. Online was a strong second for all age groups, favored by 22 percent of respondents. About one in three respondents under the age of 45 said they preferred the online route, up from one in four a year ago. Other preferred channels were workplace sales (10 percent), mail (8 percent), phone (4 percent) and email (4 percent). About 40 percent of online shoppers went to a website with a quote engine. However, LIMRA research shows that most of these shoppers do so to obtain quick and easy price quotes—only 14 percent of online purchasers bought life insurance from a website that gives quotes, while more than half bought coverage from a company website.